Turns out Texas just needed to play TCU three times to win one. And now the Longhorns will face Lipscomb in the NIT Championship game on Thursday night. 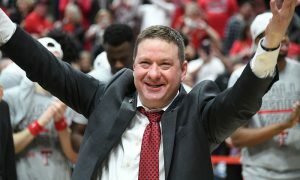 Tuesday’s NIT semifinal was proof that it really is difficult to beat a team three times in a season. 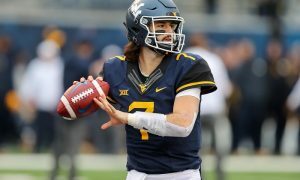 We saw the same thing in the Big 12 Tournament a few weeks ago, as Texas Tech fell to West Virginia in Kansas City after sweeping the Mountaineers in the regular season. 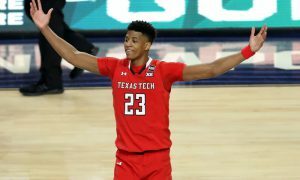 Of course, that hasn’t stopped Texas Tech from reaching the Final Four. 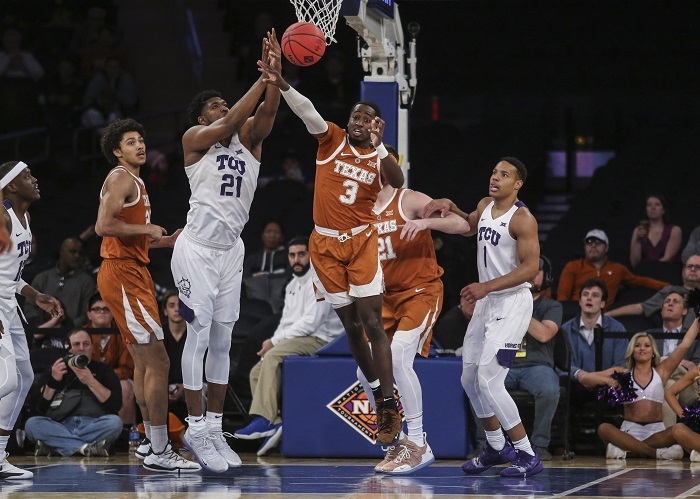 And Texas’ two regular-season losses to TCU were merely preamble to the Longhorns’ 58-44 victory at Madison Square Garden. This wasn’t a pretty game by any means. Texas (20-16) barely shot better than 40 percent for the game. TCU (23-14), which had been scoring bushels of points in the NIT to this point, suffered a power outage of ridiculous proportions. The Horned Frogs’ 17 points was their worst output in the first half of any game this season. TCU shot 28.3 percent from the floor and were awful from the arc, an area where they are usually solid (just 19 percent). Well, the Longhorns got the message. No need for expensive surgery. Texas has been a solid defensive team this season. 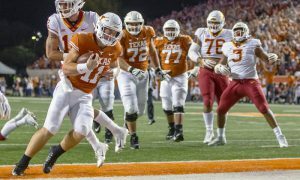 But, as with many things Texas this season, the Longhorns haven’t been consistent. Against TCU, Texas amped up the defensive intensity, especially on the perimeter. That’s where TCU is at its most dangerous with guards Alex Robinson, Desmond Bane and forward Kouat Noi. Robinson is lethal when he has space to operate in the paint. Texas, specifically Matt Coleman and Courtney Ramey, made sure every step Robinson took was difficult. Robinson can, at times, be prolific with assists. He had one on Tuesday. Texas’ hard work on the dribble drive had an impact on the paint, too. 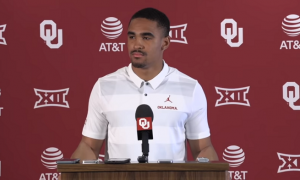 Because Texas’ guards were able to track TCU’s ball handlers so well, that made life a little easier inside for Jericho Sims and Dylan Osetkowski. 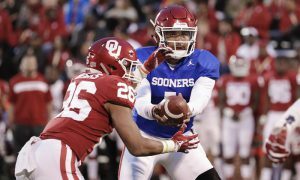 They were able to help cut off drives, and their length combined with double teams made it nearly impossible for Robinson to find consistent passing lanes. And when he was able to pass to players like Bane and Noi, they were unable to consistently convert. 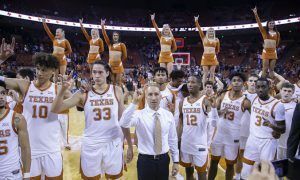 It made for one of Texas’ best defensive performances of the entire season and, if they can carry that over into Thursday’s game with Lipscomb, there’s a chance Texas could win its first NIT title since 1978. Offensively Kerwin Roach led the way for Texas with 22 points. He’s had a fine run for the Longhorns in the NIT, as has Osetkowski, who had 13 points and 9 rebounds. It makes you wonder what might have been had Roach not been suspended for the final few games of the regular season. It might have led the Longhorns to the NCAA Tournament. But, as I wrote earlier this postseason, this NIT run is going to do wonders for players like Ramey, Jase Febres, Sims and the other young Longhorns who will be back next season. TCU’s Robinson (12 points) and JD Miller (2 points, 8 rebounds) played their final games as Horned Frogs. They leave with an NIT title two years ago. Robinson leaves as the program’s all-time assist leader. 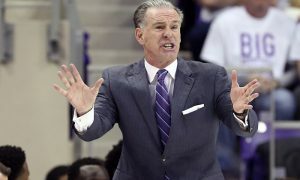 Miller leaves with 140 games played, best in TCU history. Both leave as 1,000-point scorers. Both leave an incredible legacy in Fort Worth. Bane will be back next season and wrapped up his campaign with an 11-point outing.